If you are searching for jobs in Bihar State then here is the latest information for you. Bihar Vikas Mission has issued advertisement for employment of 156 District Sectoral Coordinator & other posts. Applicants those are interested and eligible for Bihar Vikas Mission Recruitment 2018 may apply through online mode. The starting date of apply online for BVM Vacancy is 27th November 2018. 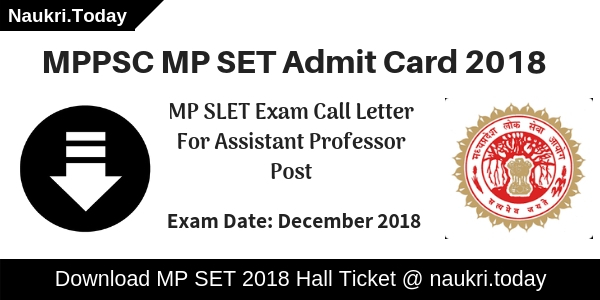 Candidates can submit their application form till the last date 21st December 2018. For more information of Bihar Vikas Mission Jobs, you can collect from below paragraphs. Bihar Vikas Mission is inviting candidates for filling up 156 various vacancies. This is a great opportunity for candidates those are searching vacancy in the state. 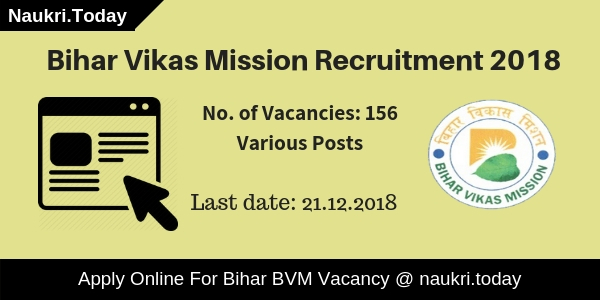 Bihar Vikas Mission Vacancy 2018 online registration link open from 27.11.2018 to 21.12.2018. Applicants can apply for BVM Jobs 2018 either here or official site. Furthermore, inquiry you require to read the full article and consider official advertisement. Fresh Updates as on 19.12.2018: Registration for Bihar Vikas Mission Recruitment is going to close on 21.12.2018. Candidates should check here eligibility criteria for Bihar Vikas Mission Vacancy 2018. Candidates should stay connected with us for more updates. Applicants who wish to apply for BVM Recruitment 2018 must fulfill eligibility criteria. If the applicant finds not eligible for given vacancy their application form will be rejected. It considers details education qualification, age limit & other parameters. Hence, Before going to fill Bihar Vikas Mission Recruitment online form candidates must check given below eligibility criteria. 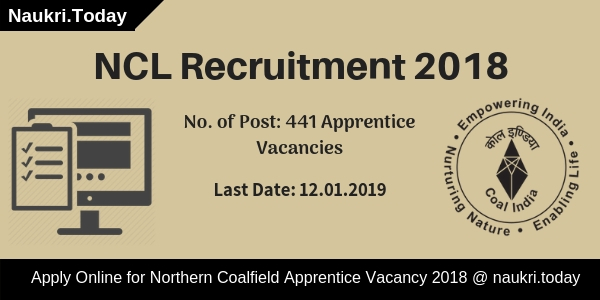 Applicants should complete their qualification in respective posts. It is necessary that candidates must fulfill education eligibility condition. Furthermore, information refers to Bihar Vikas Mission Vacancy Notification. There are no age criteria for BVM Jobs 2018. Applicants should read the official advertisement carefully for details regarding the age limit. Applicant will be shortlisted for interview as per their academic qualification, essential experience and documents. Final selection of the candidates for Bihar Vikas Mission Recruitment will be done on the basis of marks obtained in the interview round. Candidates must carry all original certificate and other testimonials at the time of Interview. No TA/ DA applicable for BVM District Sectoral Coordinator Vacancy for attending the interview. After selection of candidates, they will receive an attractive salary per month. For BVM District Sectoral Coordinator Recruitment applicants will receive 32950 per month. Remaining post vacancy distribution is mention on Bihar Vikas Mission Notification. So click on the direct link to download the advertisement. Interested and eligible candidates may apply through online mode. The Bihar Vikas Mission Online Form is available on here as well as the official site. Applicants should follow some given below instructions to apply for BVM Vacancy 2018. First of all, visit the official site bvm.bihar.gov.in. Download official Bihar Vikas Mission Job Advertisement. Read full advertisement carefully and then go to for apply online. Click on the link BVM District Sectoral Coordinator Recruitment online form. Fill up your personal, educational and other information. Upload all required document with the BVM Jobs online form. Submit your Bihar Vikas Mission Recruitment application form. Take the hard copy of it and must carry when you are going to attend the interview. Conclusion: Bihar Vikas Mission Department has released notification for filling up 156 various vacancies. Candidates can apply for BVM District Sectoral Coordinator Jobs through online mode. The online form is available from 27.11.2018. The last date of submission Bihar Vikas Mission Recruitment Application Form is 21.12.2018.